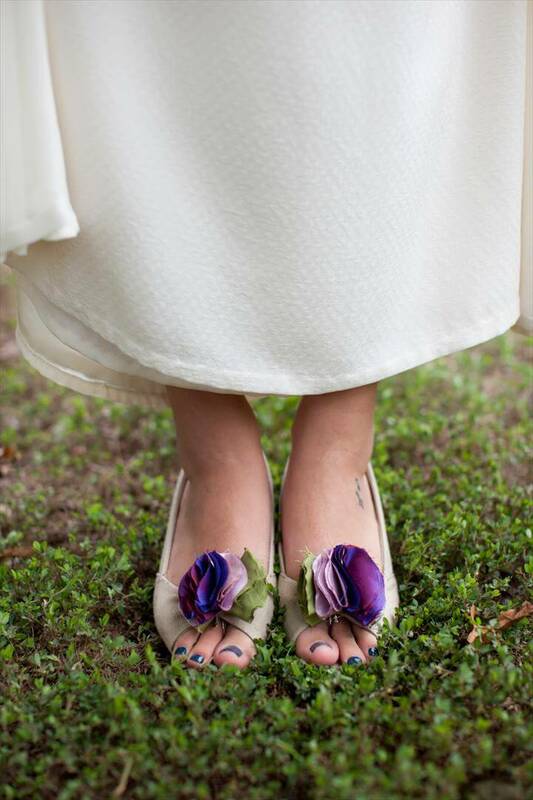 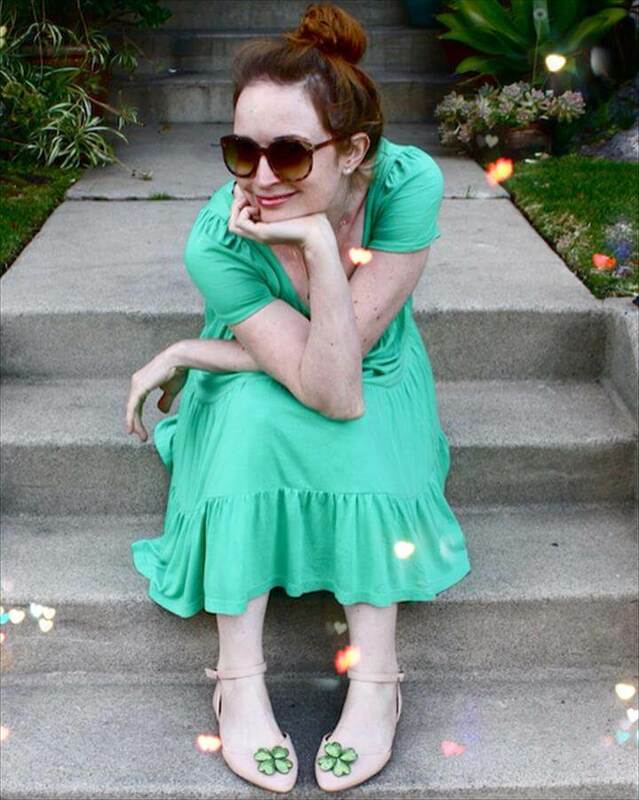 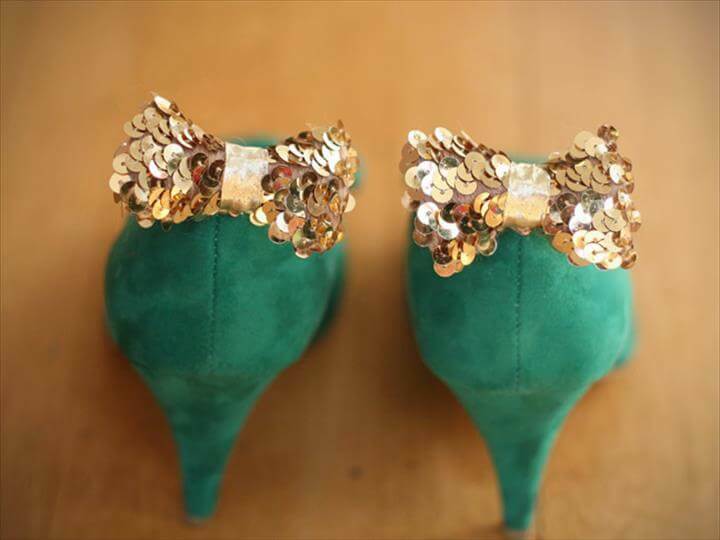 Shoe clips are one of the newest fashions of todays world. 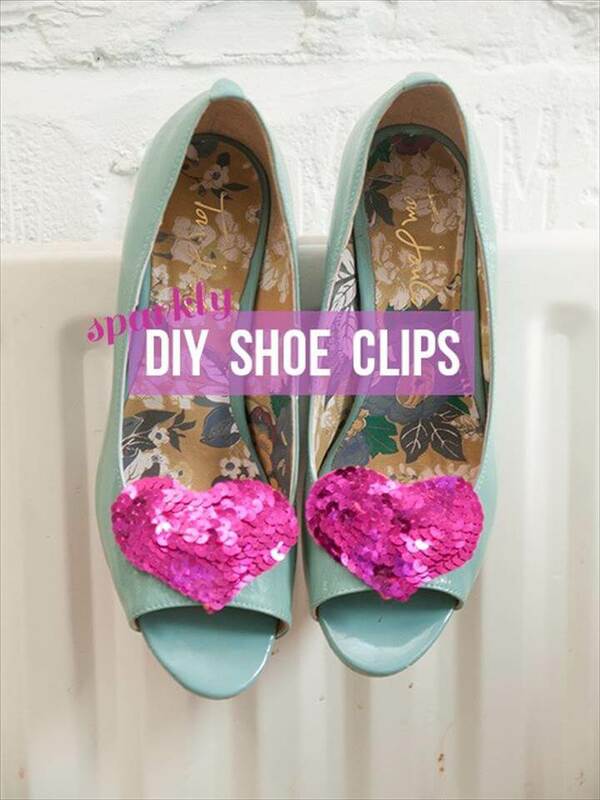 You can now easily add a spark to your plain and simple shoes by adding some fancy clips over them. 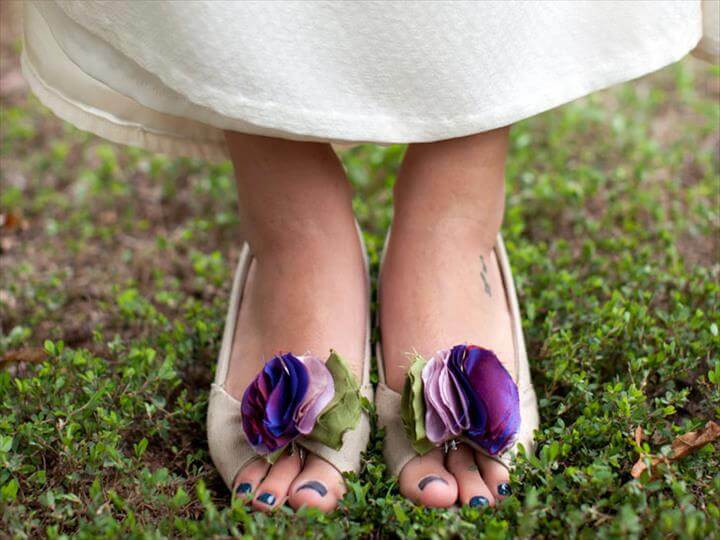 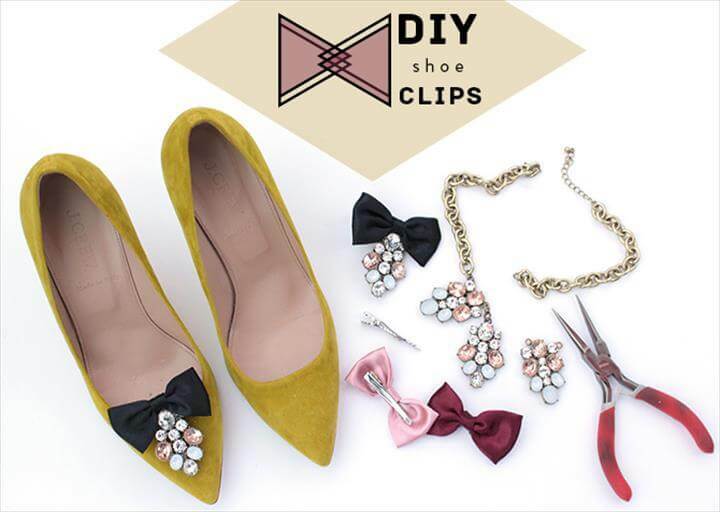 Here are various ideas of how you can make different shoe clips. 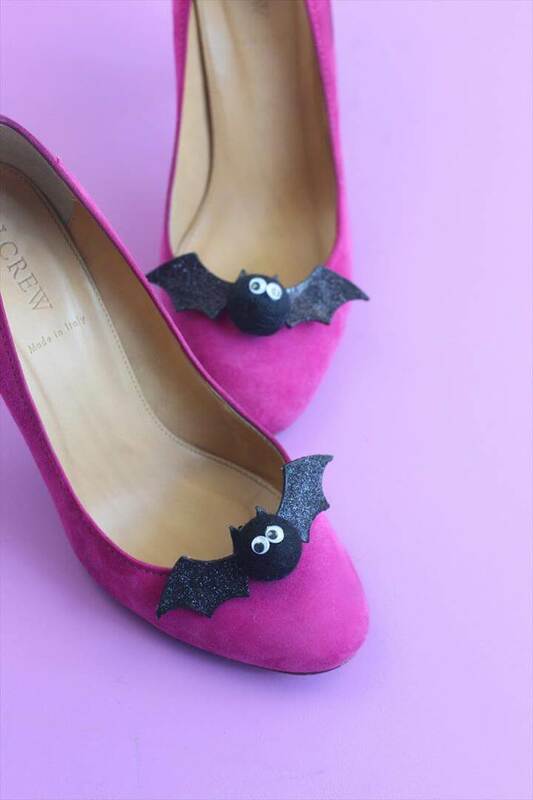 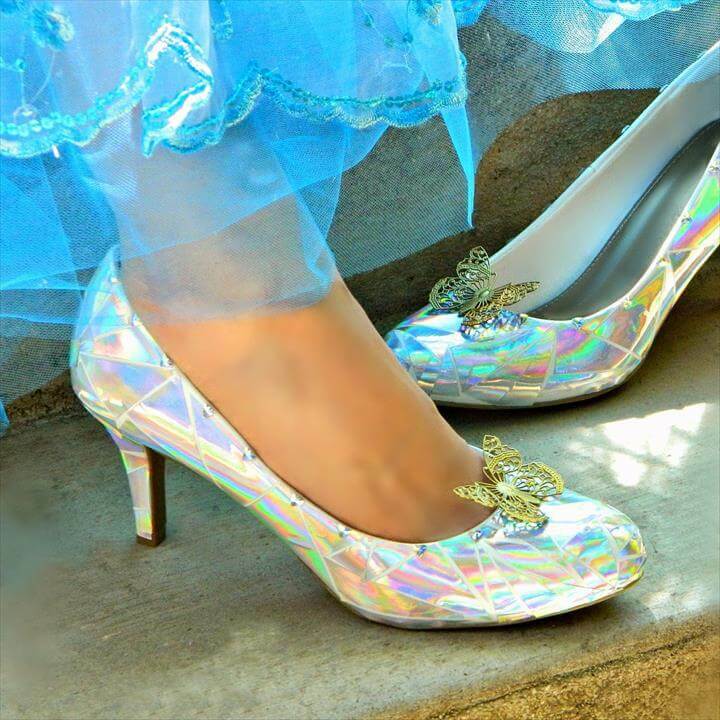 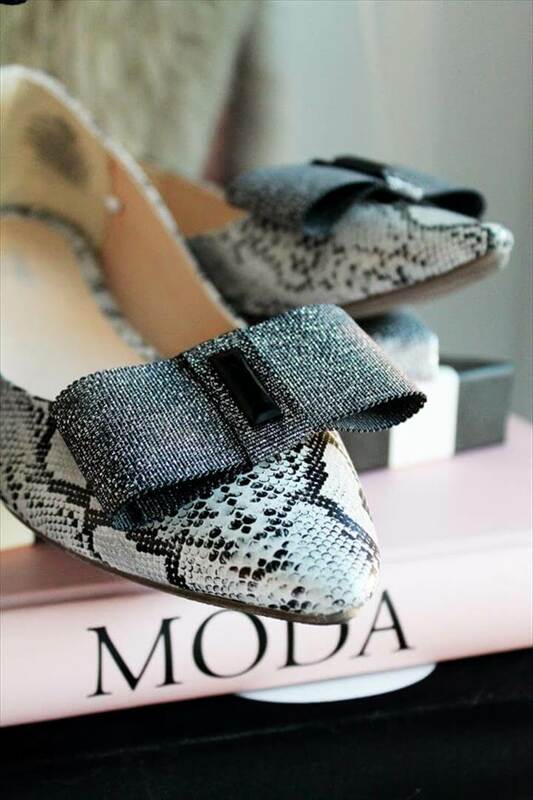 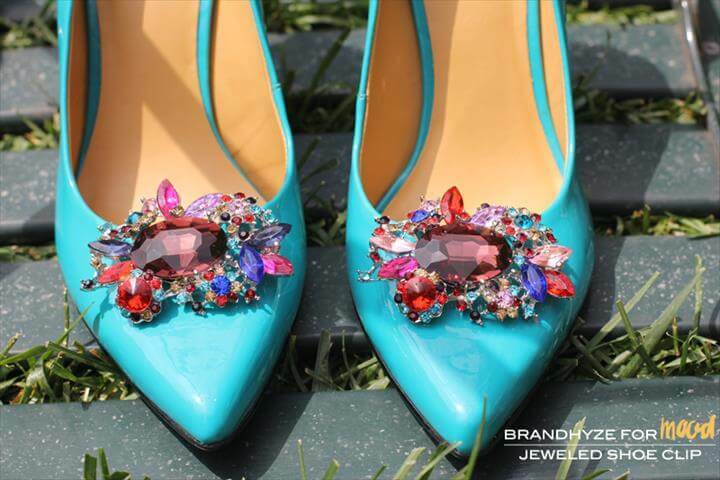 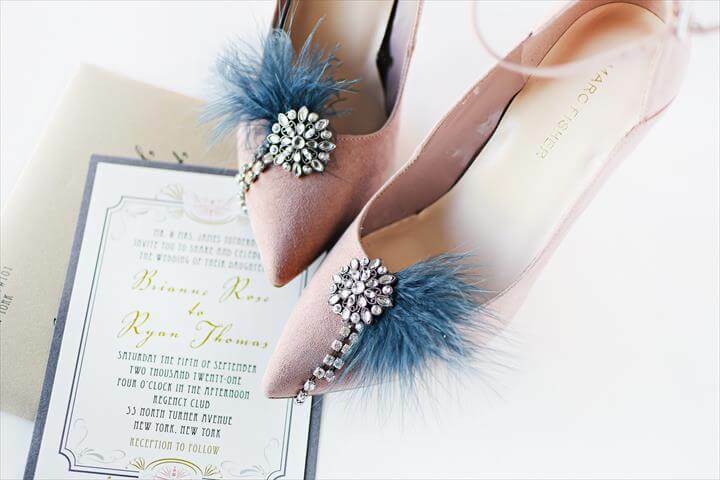 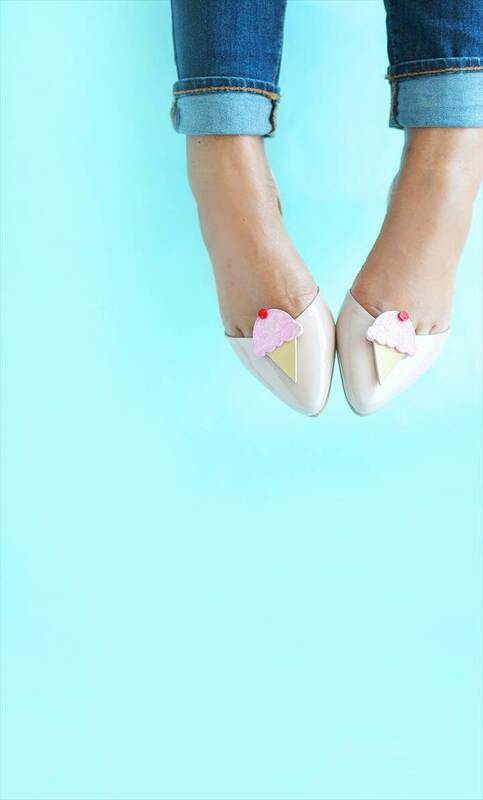 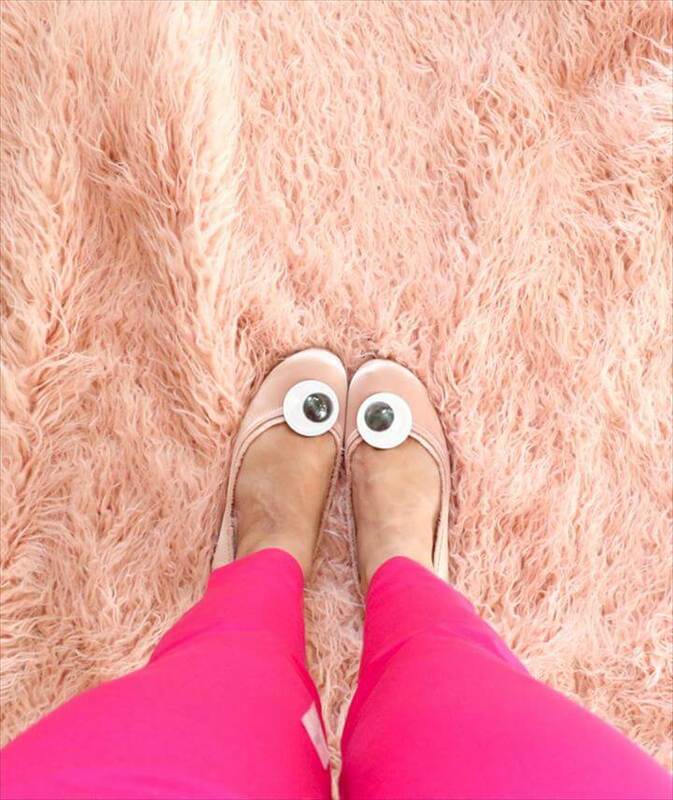 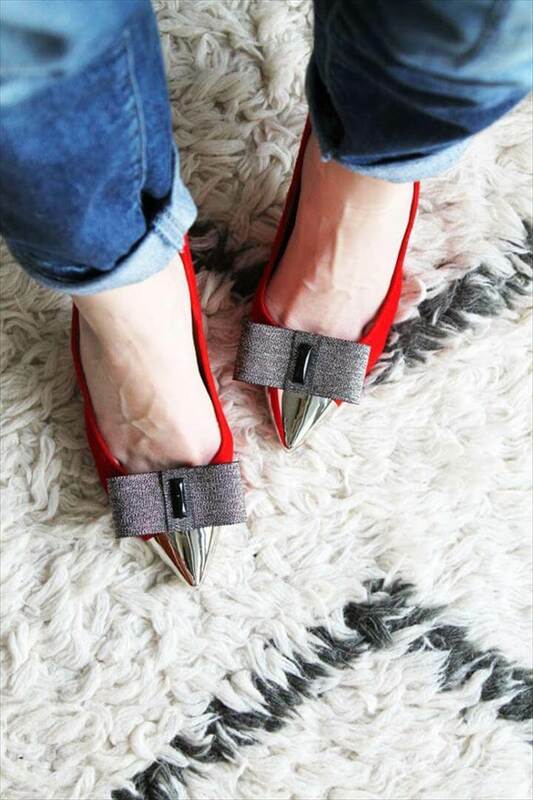 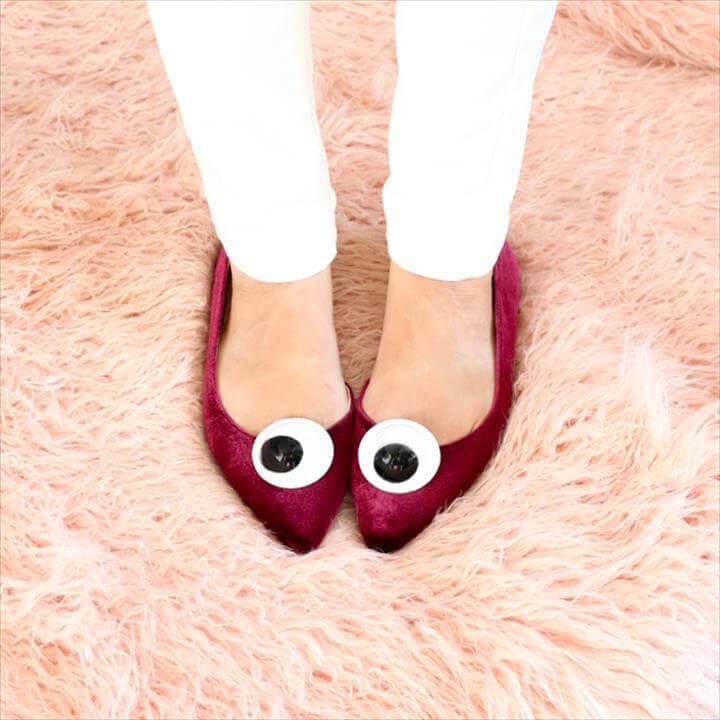 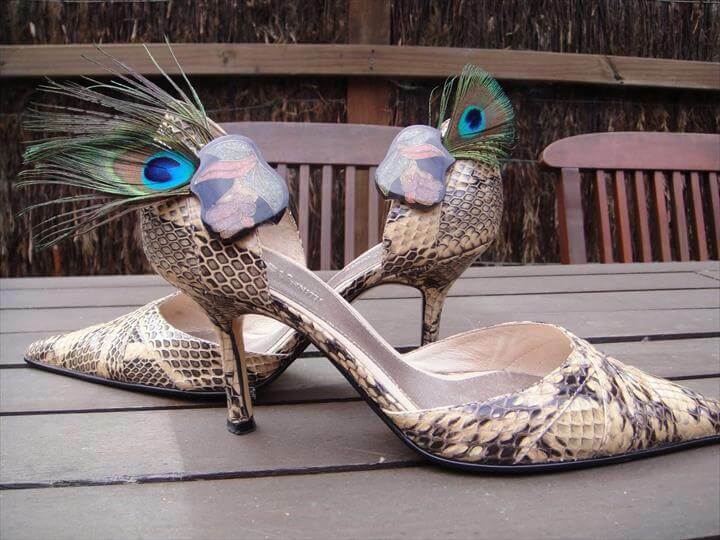 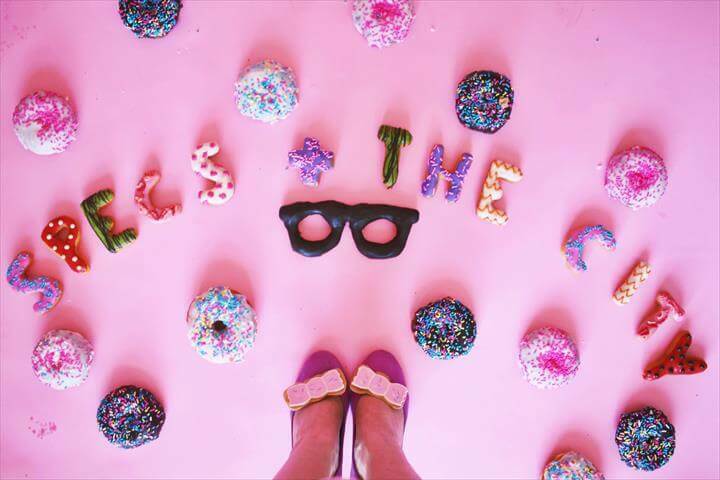 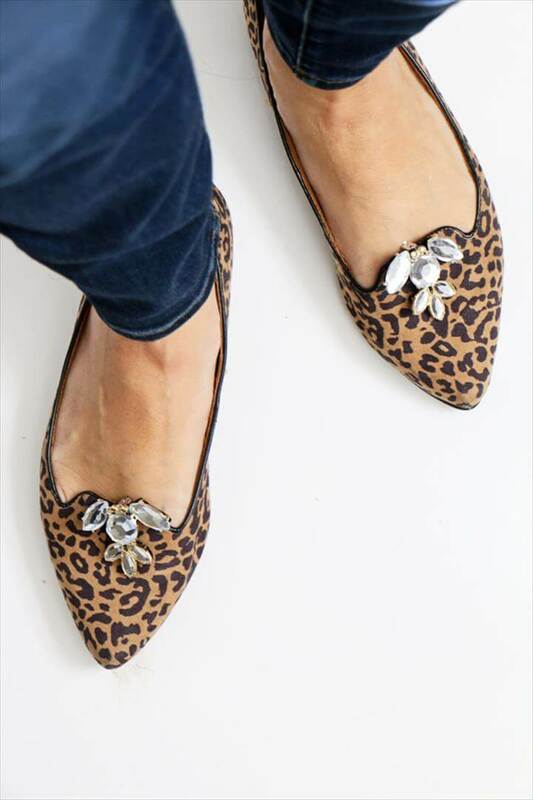 We bet that no one can take their eyes off for a while when they will see your shoes. 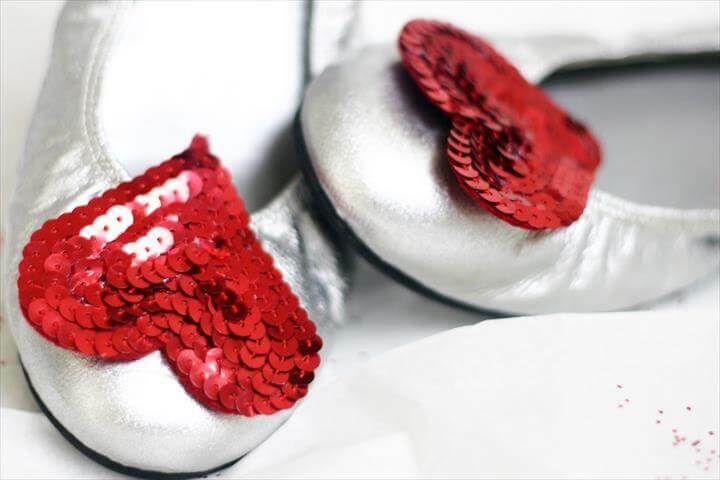 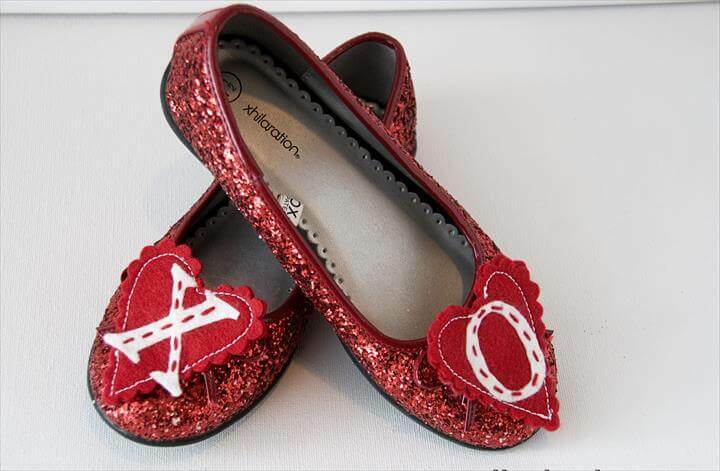 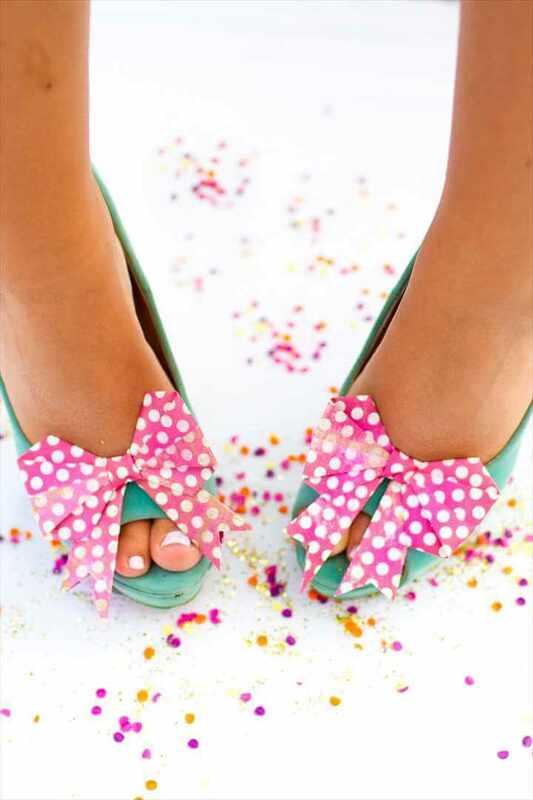 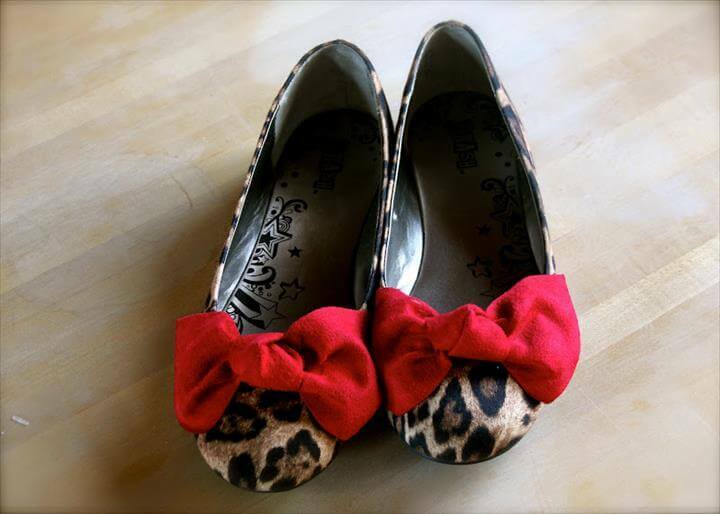 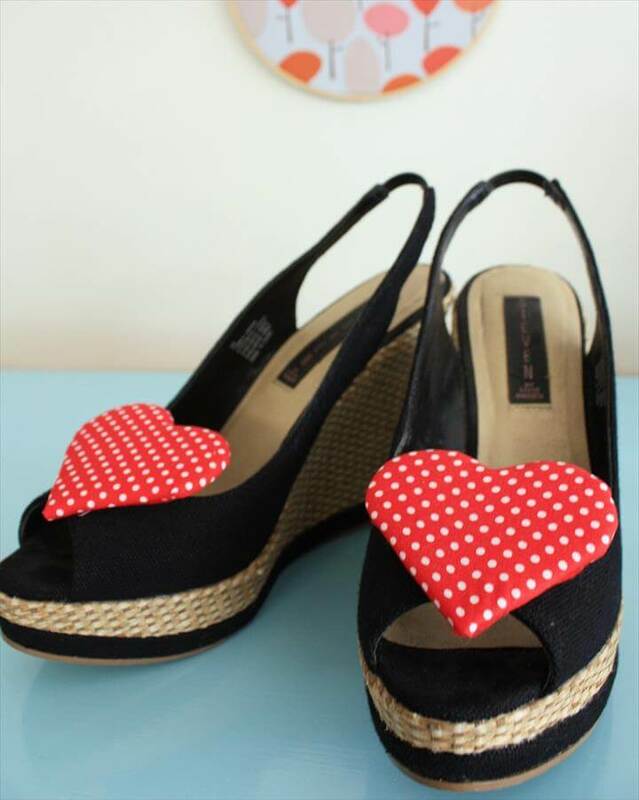 You can make shoe clips with many things such as ribbons, denim fabric, glittered sheets and much more. 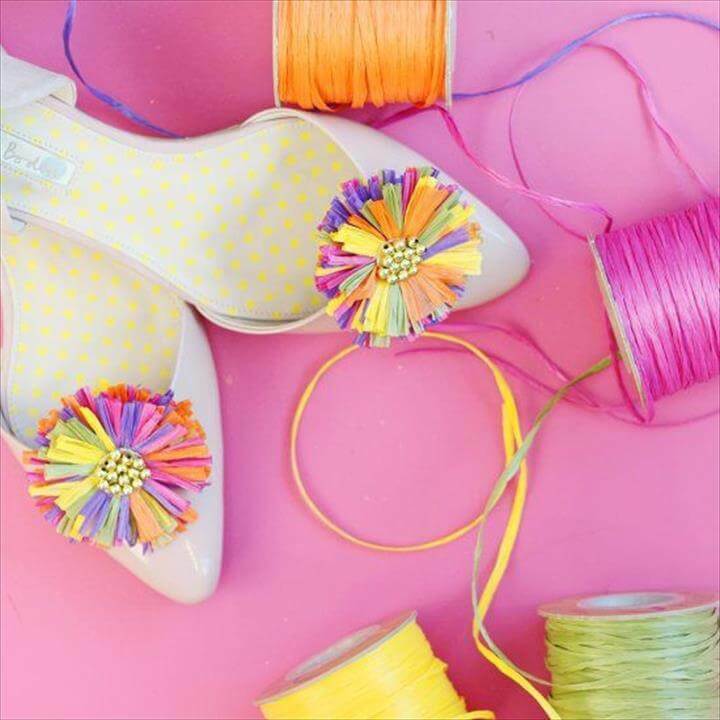 Many of our shoes mostly have no attraction in them so this way you can easily add upto their look and value in no time and less expense. 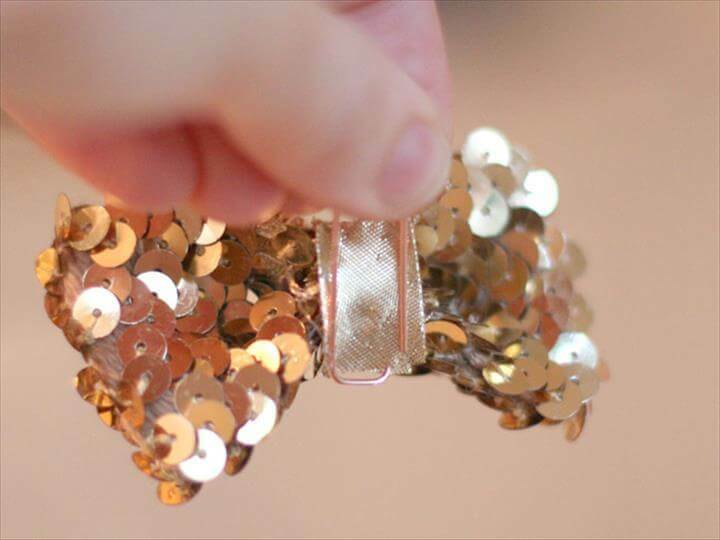 Besides this you can also make use of some of your broken jewelry pieces like you can see in one of these projects here. 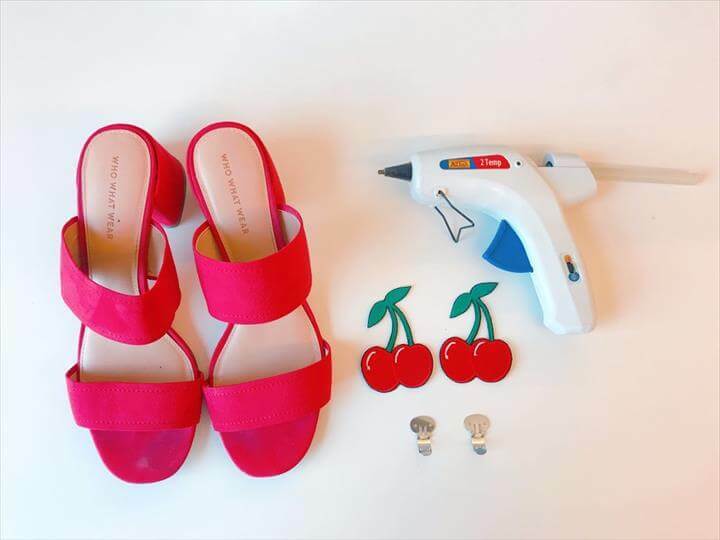 you need to have a strong glue for these purposes. 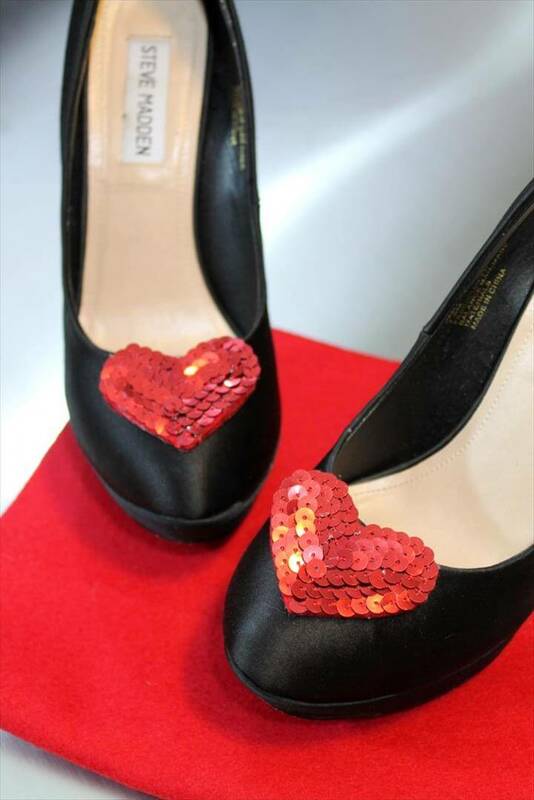 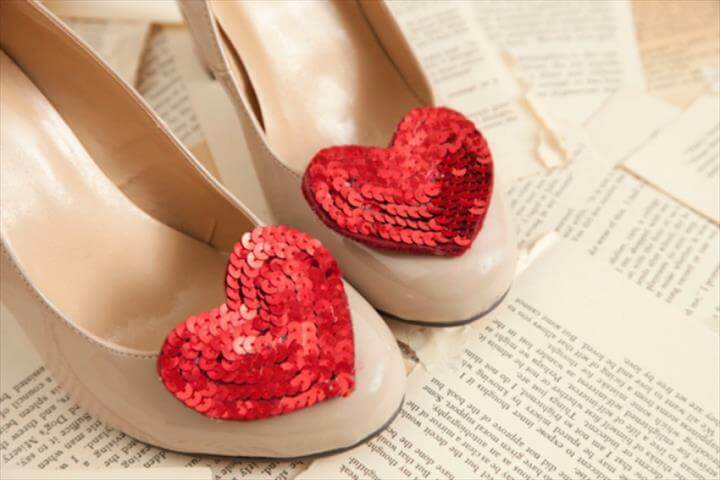 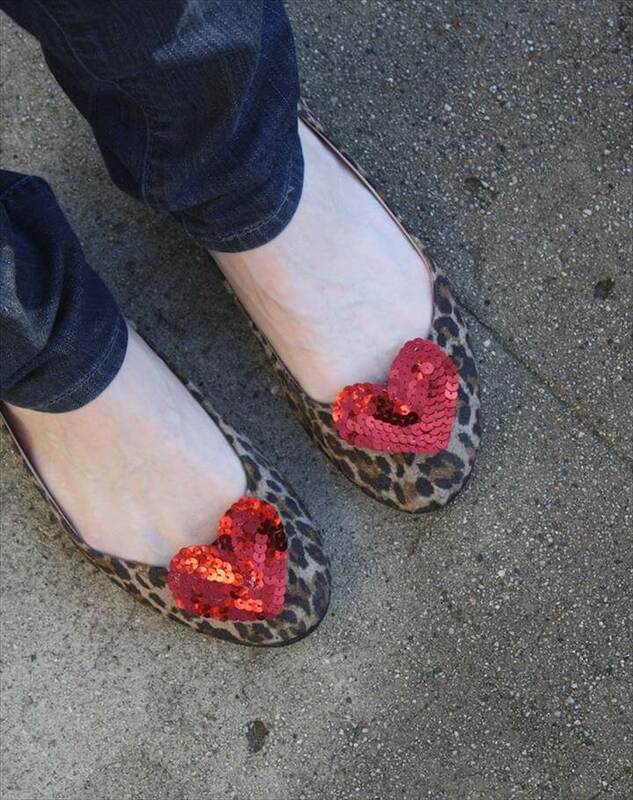 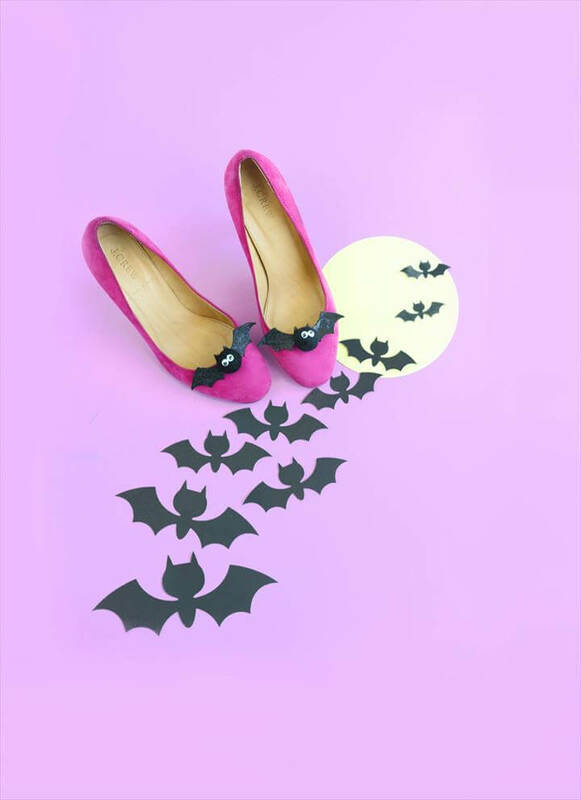 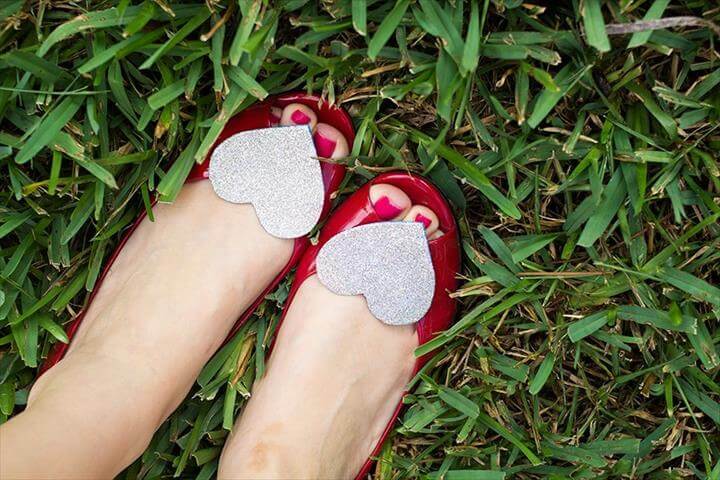 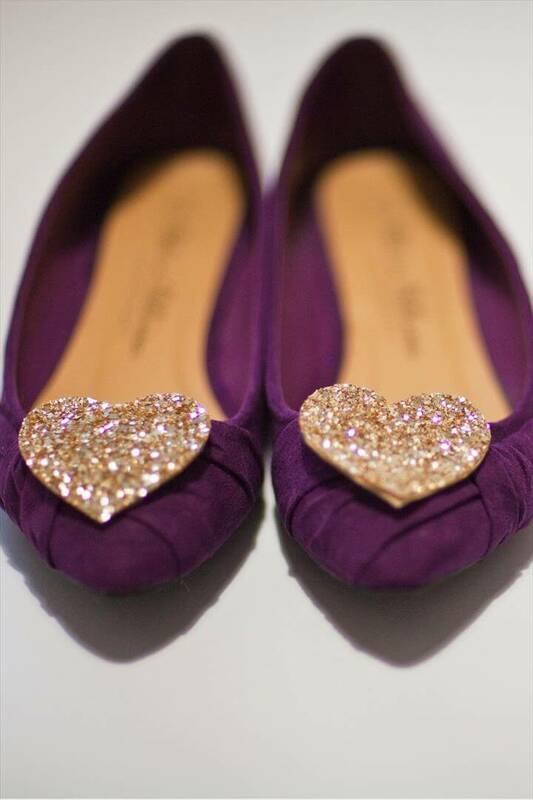 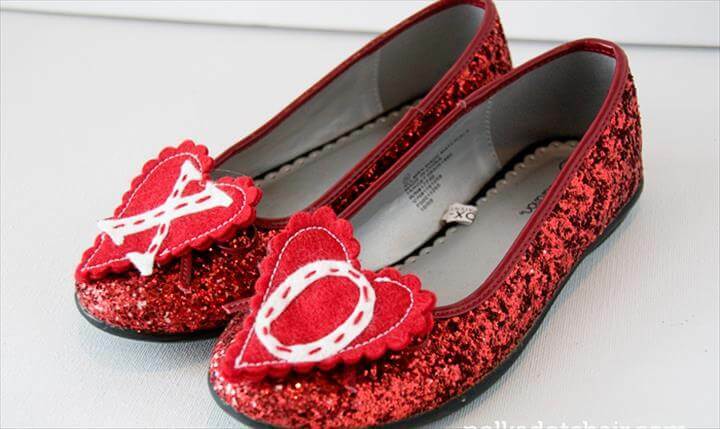 You can cut the sheets according to your choice such as you can make heart shapes from a fomic sheet and paste them on to your shoes withn glue. 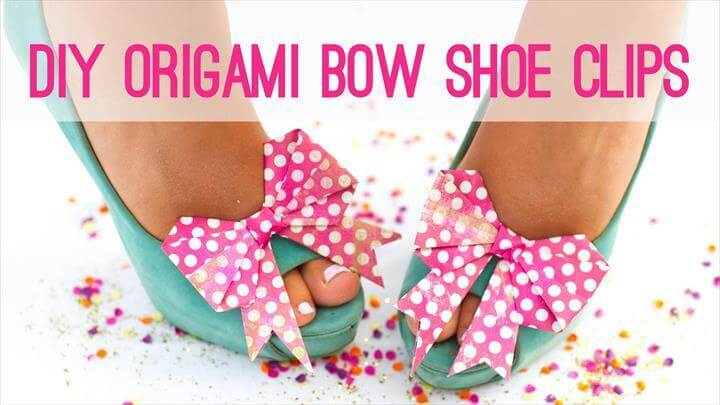 similarly you can also cut shape of lips form a sheet and paste it. 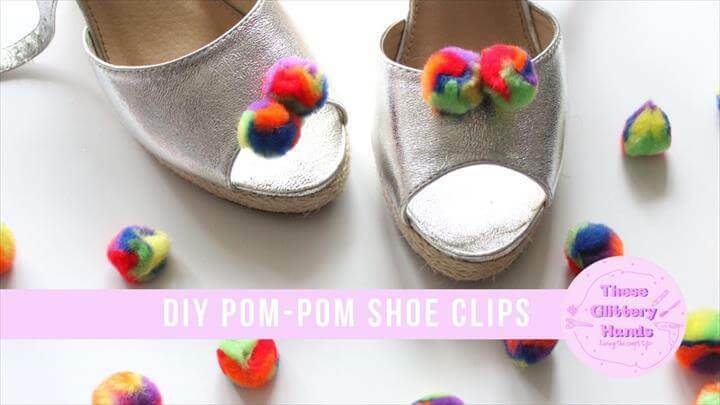 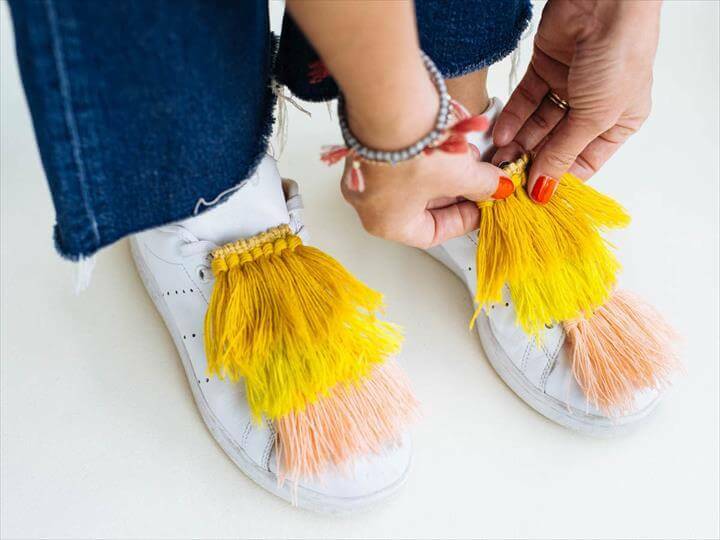 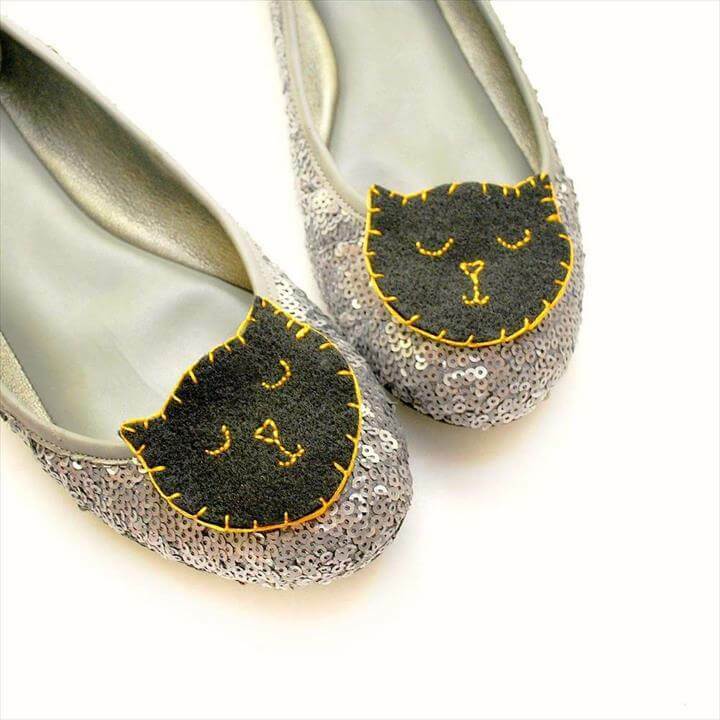 Pom pom is also an amazing craft which can easily decorate your shoes without much effort needed. 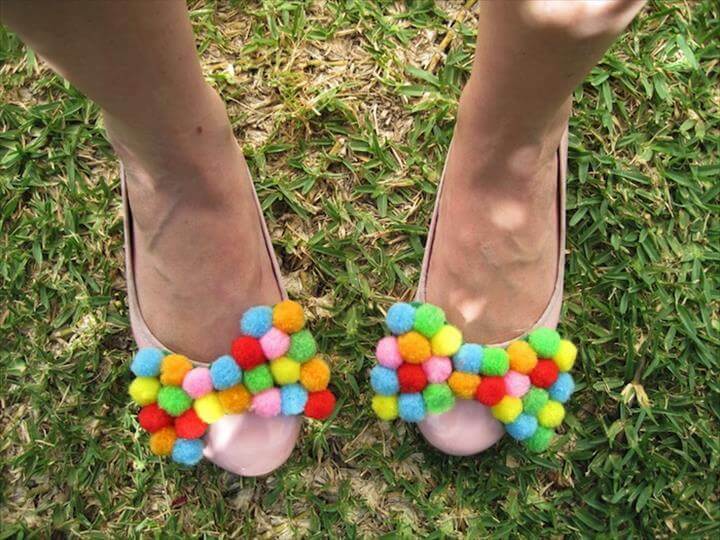 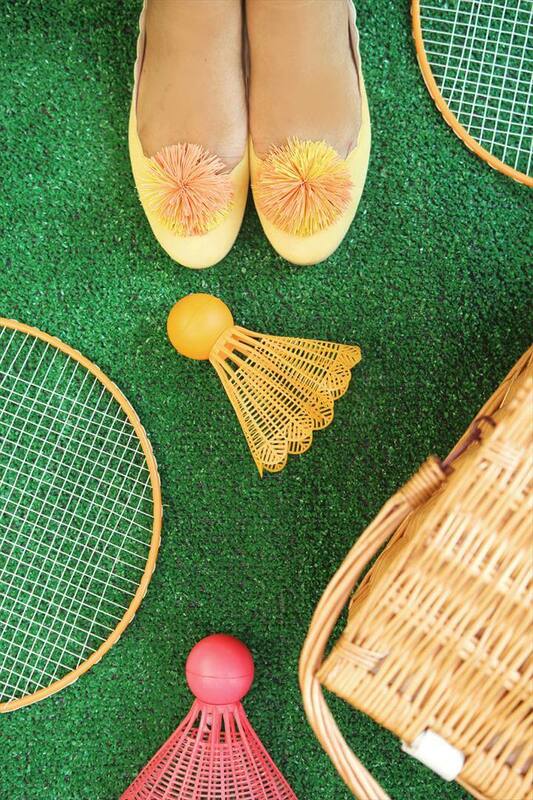 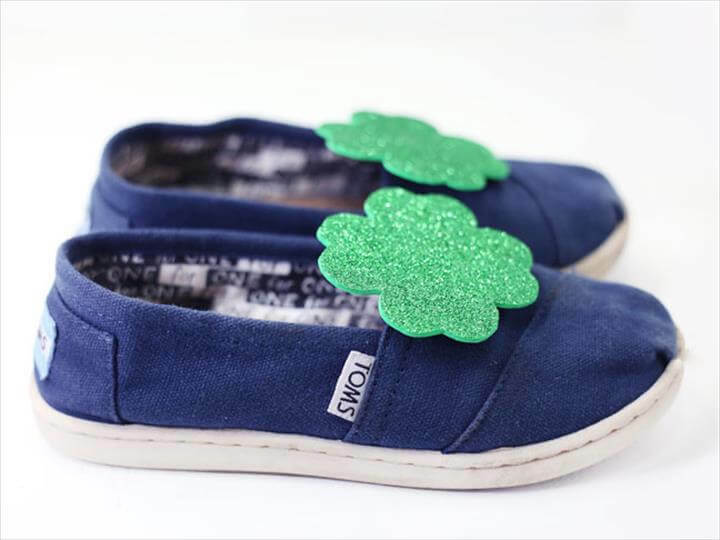 Select pom pom of your favorite colors and paste them closely on to your plain shoe to turn it into a pom pom footwear. 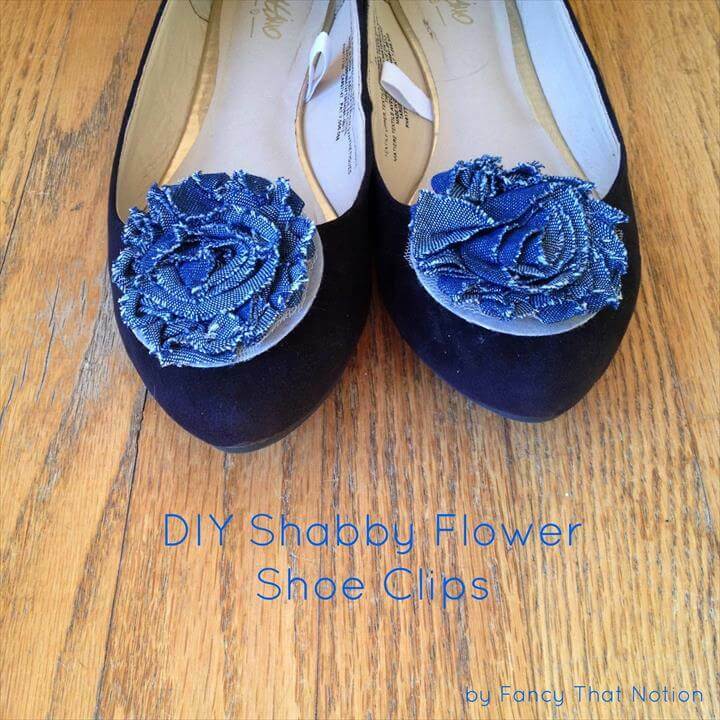 Also you can easily learn to make flowers and bows with fabric and make your shoe clips. 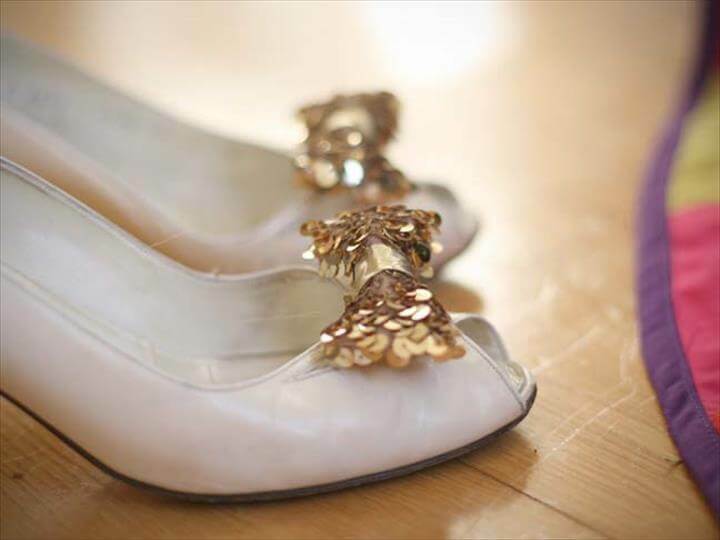 Not only you can attach the clip on the front side fo ta shoe but also at the back of a shoe to increases the beauty of its look. 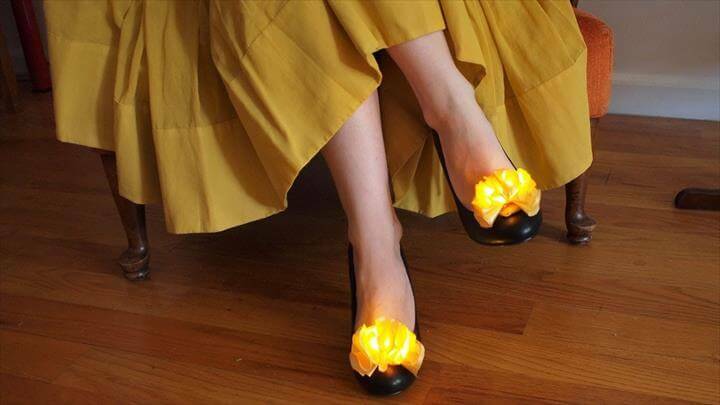 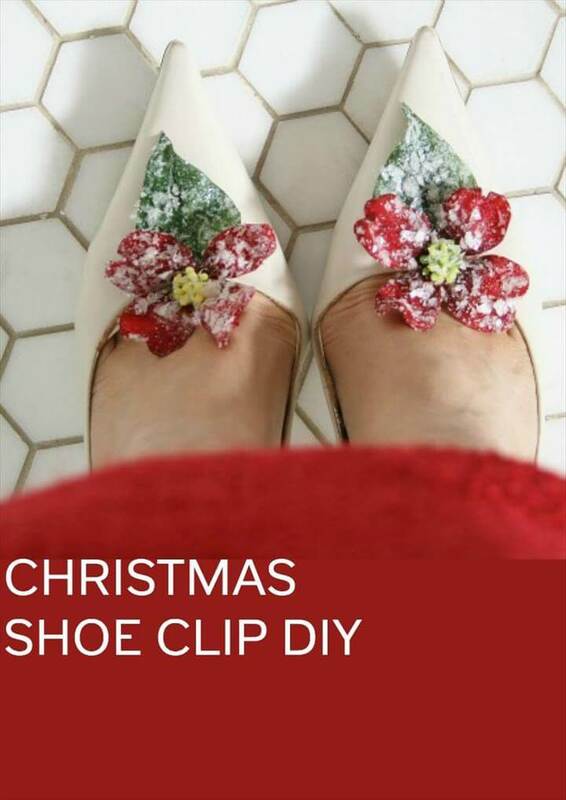 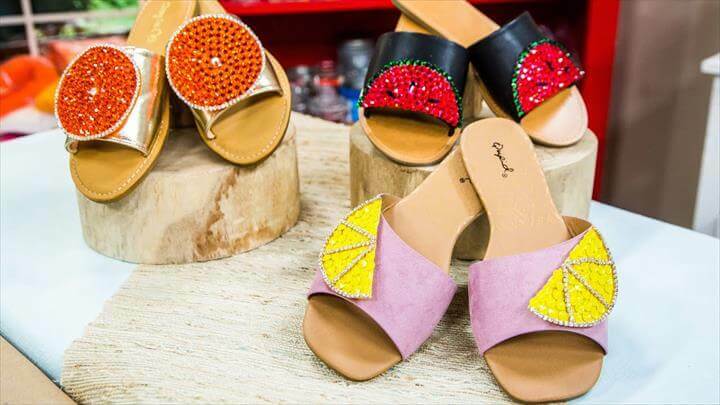 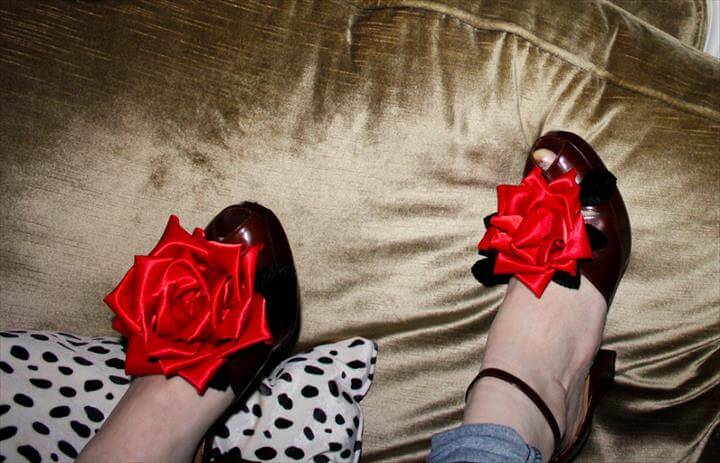 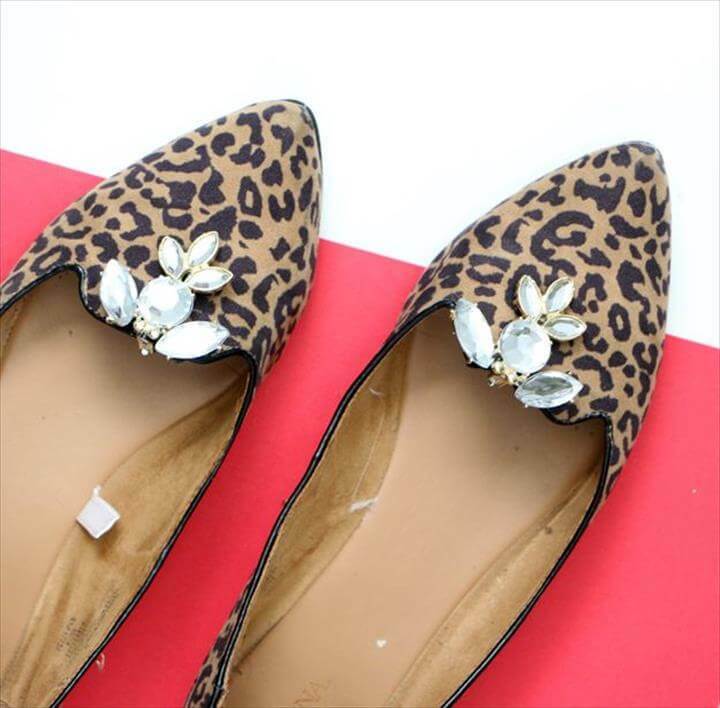 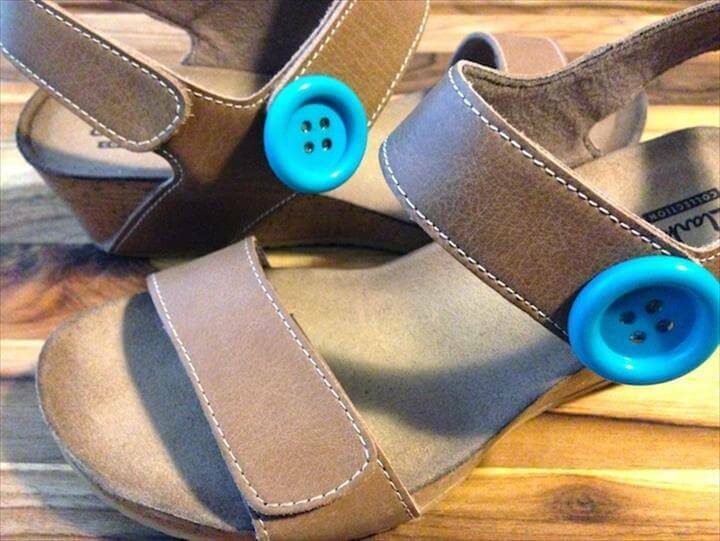 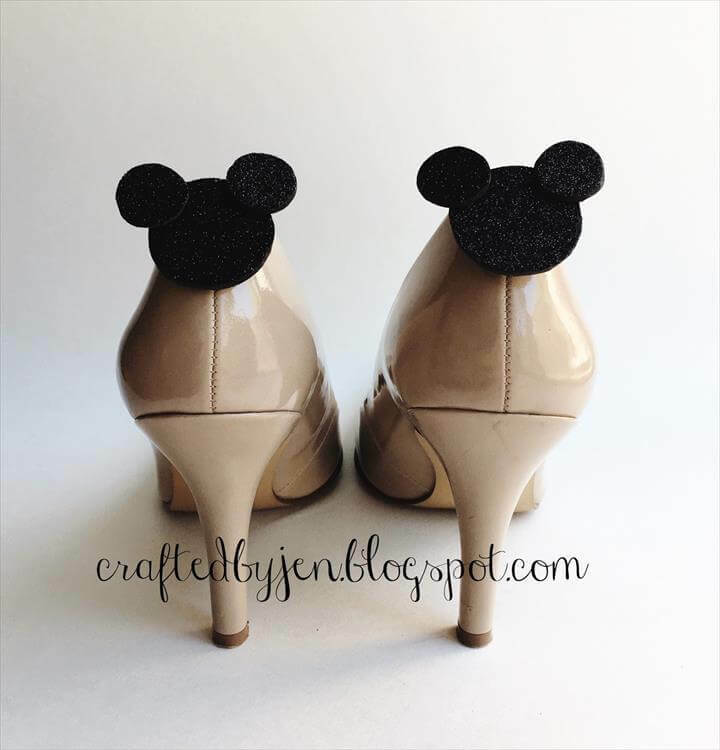 Share these amazing 70 DIY Shoe Clips Budget Friendly Ideas with others too so they may find these useful for them too. 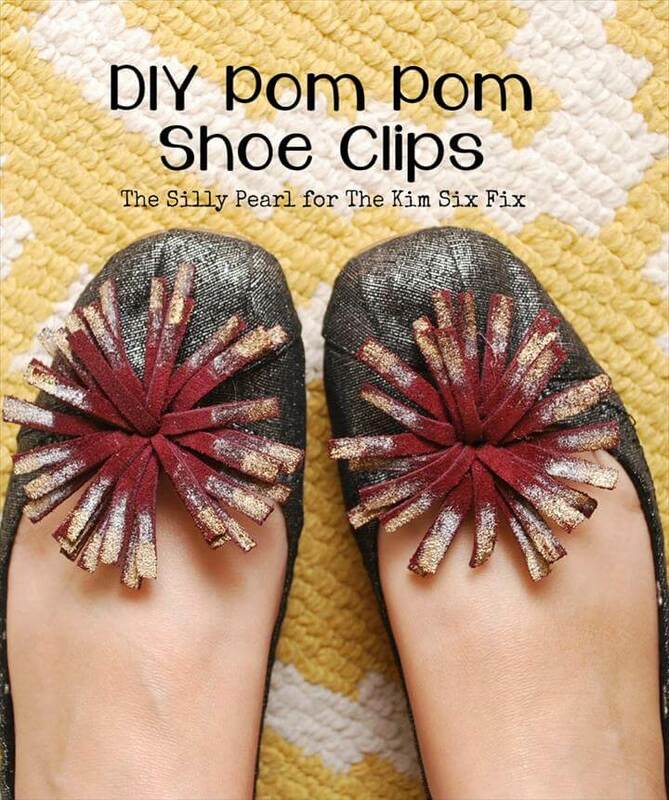 All the projects have tutorials with them in the links given below them.